Once you create a world you will notice that you are in the village. The neighborhood consists mainly of plains, but there are some great mountains and lavas behind you. 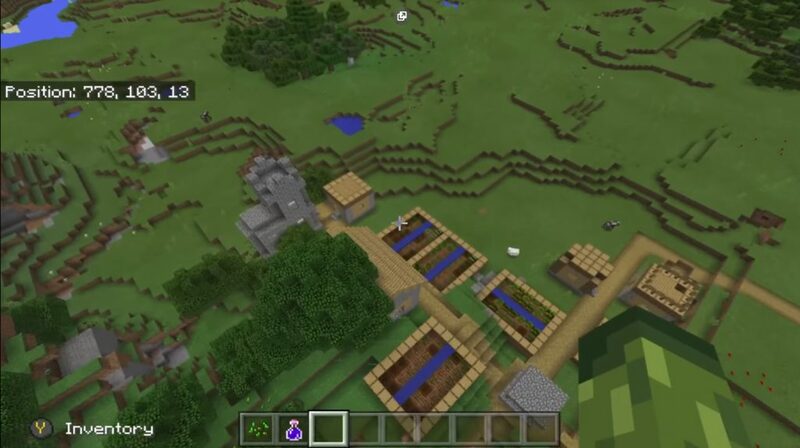 Go to the center of the village in a well look for a well with water. Bend into this well and plunge to the very bottom, and then dig down. 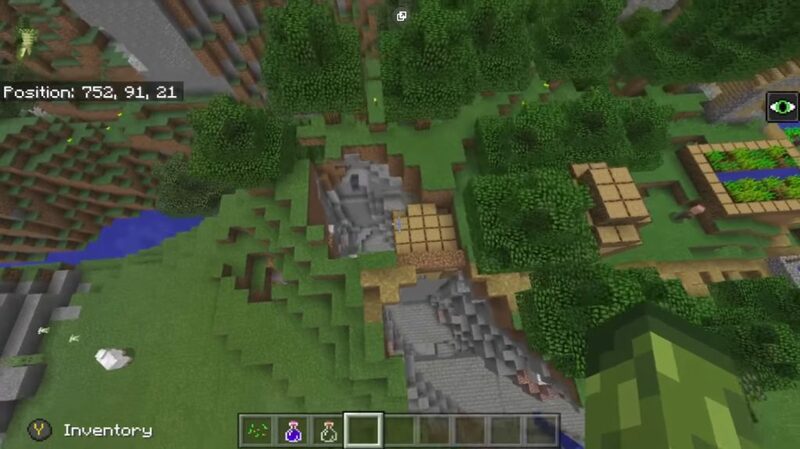 When you dig and fall you will be in the entrance to the fortress. 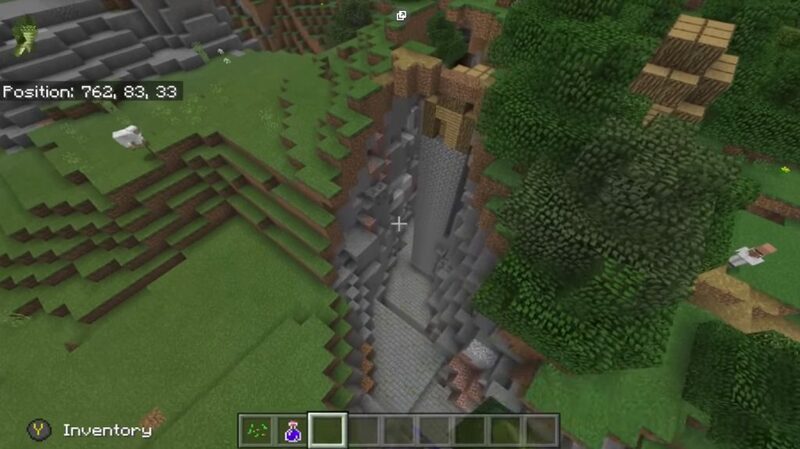 The fortress will be similar to other fortresses in Minecraft PE such as the End Portal room.